The last word on all of this is that gaining this suppleness is a lot more work than maintaining it. Persevere with it and the accumulation of tiny gains makes a real difference. To be honest, maintaining the suppleness I had in my racing career would take as little as five minutes – but only if I stuck to the schedule every night! If you pin a number on your back and line up at race, fondo, commute or just ride for fun, The Obree Way teaches much about riding efficiently. Obree focuses on the biomechanical connection between you and the bike, how to be supple. I thought much about being efficient and suppleness in sub-zero temperatures on a Fat Bike in the snow this weekend. I was in the Methow Valley on assignment for Wired. Crunching along at 4 mph, bouncing on tires inflated to 5 PSI, I wanted to smooth it all out. Content to pedal slow like a Bootsy Collins bass line instead of a frenetic mashup from Girl Talk, I was in the groove and considering all the variables to find a flow in the snow. As the groomed trial turned into a small, steep hill, I heard a Spank Rock lyric, ‘Oh ease up motherf’er take a breath. The 9-Zero-7 I spun up that pitch weighs 3 times what my Cross or Road bike does and is about twice as fun. 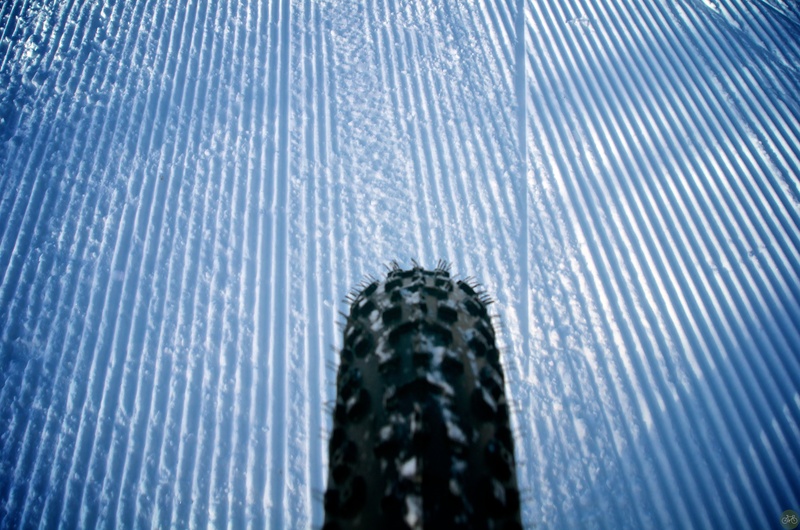 We stayed at the Rolling Huts in Winthrop and rode bikes from Methow Cycle Sport during the Fat Bike Demo hosted by the Methow Valley Sport Trails Association. I’ll share a link to the Wired feature, when it’s live. ‘Till then, we’ve got more snow to ride in.